Samsung Z1 is already available in India, offering users with entry-level specifications and an extremely affordable price tag. Samsung Z1 also made its way to Bangladesh, but the pricing details were a bit scarce. However, if you’re thinking about picking up the handset in Bangladesh, you should know the handset carries a 6,900 Bangladeshi Taka price tag (almost $90) — it launched in India with a similar price tag of around $90. 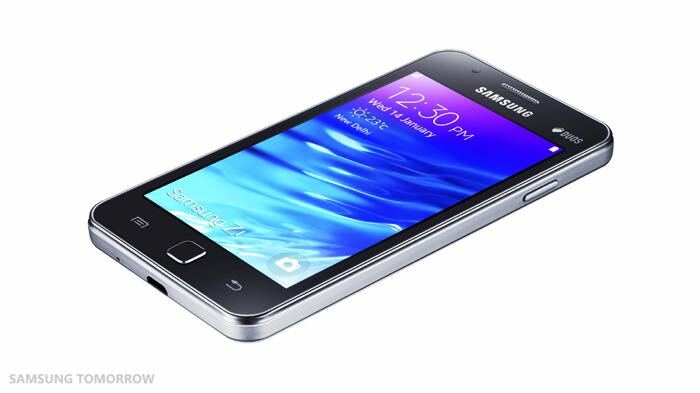 The handset runs the company’s own Tizen operating system, and comes with a 4-inch display sporting a resolution of 480 by 800 pixels. The processing comes from a dual-core 1.2GHz Cortex-A7 processor coupled with 768MB of RAM and 4GB of internal storage which can be expanded with a microSD card. The device also features a 3MP rear camera, VGA front-facing camera, 3G connectivity, dual-SIM connectivity, FM Radio, 802.11 b/g/n WiFi, Bluetooth 4.1 and USB 2.0 and a 1,500 mAh battery to make sure it can offer a decent battery time. It is expected to hit retail in other developing markets as well, considering it received a good response in India. Anyone planning to pick up the Samsung Z1 in Bangladesh?